Enjoy some autumn fun, and develop measurement skills with this sweet-smelling art project. 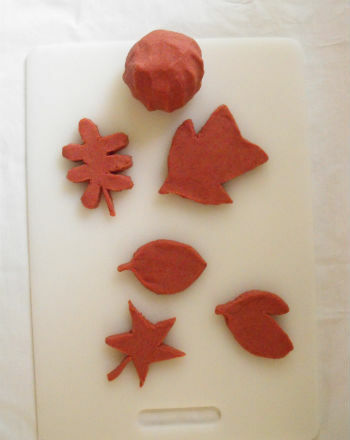 Children will love shaping the dough into the form of fall leaves. Help your child measure the first 5 ingredients into the mixing bowl. Let them stir things together while you prepare the water. An adult is needed for this step. Have your child squirt red tempera paint into a glass measuring cup. Two generous squirts will do. Add boiling water to the cup until it and the paint measure ¾ of a cup. Pour it into the mixing bowl with the other ingredients. Although your child may want to use the hand mixer, get the dough started yourself so they don't splash themselves with the hot water. Once the hot water is mixed in but the dough is not yet smooth, your child can help with mixer. It will take the dough approximately 10 minutes to cool. Look at a variety of leaves. How are they shaped? Some are shaped like a mitten, some like a football and others like a hand. If you need to see some more leaves, search online for a leaf guide. 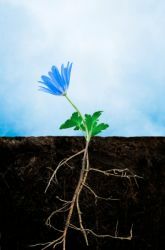 You might want to find one that corresponds with your local leaves. Help your child roll or pat out the dough. Working with their hands and a plastic knife, challenge them to make as many different leaves as possible. Can they shape an elm leaf? A tulip tree leaf? A sassafras leaf? Expand on this activity by making orange and yellow dough, scenting it with allspice or cloves. Decorate the table with a collection of spice-scented autumn leaves. Cinnamon Bug Repellent: Sweet Relief? Cinnamon is tasty, but does it have super powers as well? 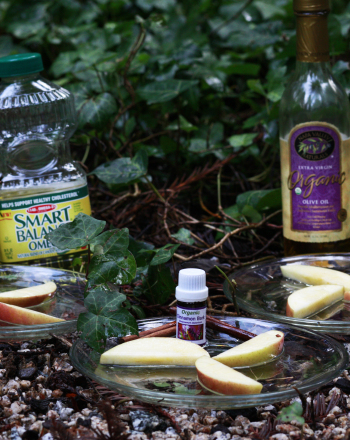 Find out if cinnamon can repel mosquitoes in this outdoorsy experiment. 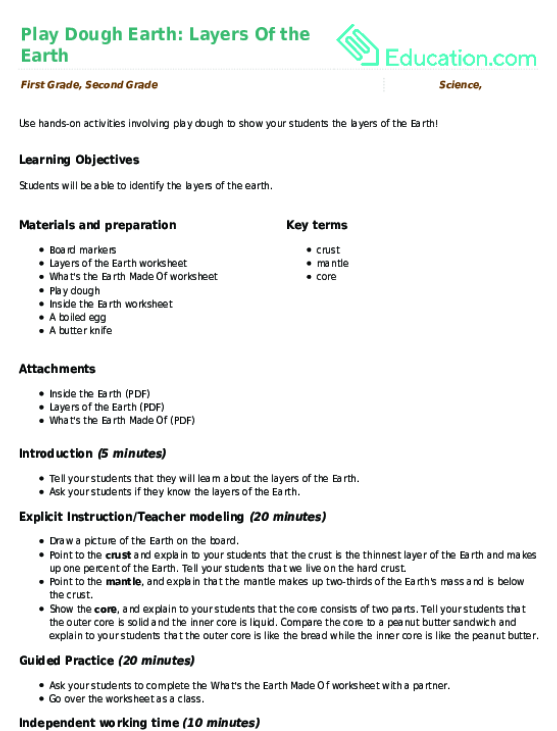 Use hands-on activities involving play dough to show your students the layers of the Earth! Make the fall season even more festive with this printable fall leaves paper, perfect for using with leaf rubbing activities. Study science with your first grader in this arts and crafts activity that models the reason why fall leaves change color with some paint and crayons. How Tall Are They: Leaves! Continue your journey with Kolobok, the crafty little ball of dough. In part three, he encounters a wolf! Can he escape? Enjoy part two of this fun Russian folk tale, about Kolobok the little ball of dough, created accidentally by an old woman. Kolobok Part V: The End! Famous in Russian folklore, this clever ball of dough finally meets his match, the fox! 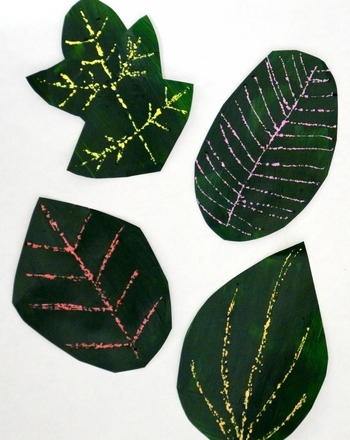 These leaves can be used for a variety of science lessons and classroom art projects! 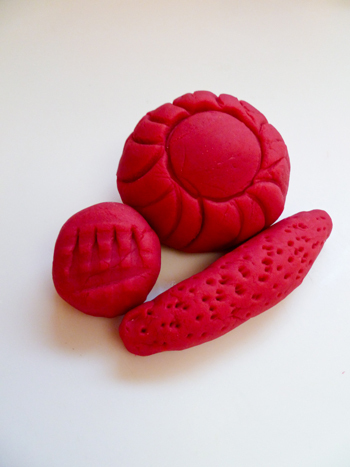 It's easier than you think to make homemade play dough -- just a few pantry staples makes a natural version of the toy that kids have loved for generations. Meet Kolobok, a ball of dough who comes to life in this Russian folk tale!